Over the course of a 30–40 year career, it’s not uncommon for the average professional to find themselves out of work for an extended period of time at some point. There are a number of reasons that a competent, driven person could be unemployed for several months or longer – being laid off, returning to school, raising a family, receiving treatment for an accident or serious illness, caring for a sick family member – all of these are common scenarios that can end up as employment gaps on a resume. 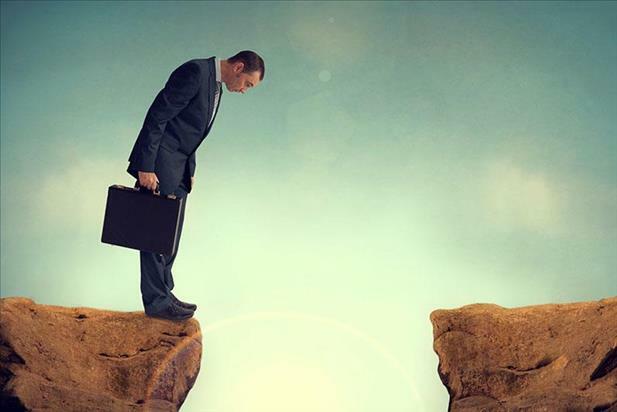 Protracted unemployment doesn’t have to equal a career death sentence though, and with the current economic climate, more and more employers understand that even the best employees may have gaps in their work histories. 1) Perception of Unemployment: A lot of individuals struggle with depression after losing a job. It’s easy to feel like a victim, lose self-esteem, and believe that there is an insurmountable stigma that comes with being unemployed for months on end. However, the majority of the time, sudden job loss is not the fault of the employee. Most of the time it is due to circumstances that are out of the worker’s control such as accidents/illnesses, family obligations, mergers, strategic reductions in force, or cost-cutting initiatives that make a certain division expendable. It’s important to look at the big picture and realize that once a position has been lost there is nothing that can be done but move on and focus on that next great opportunity. Don’t even think of it as being “unemployed” but rather “between jobs.” That way rather than dwelling on the negative (not having a job) the focus is on the positive (a future position). 3) Focus on Skills and Achievements: One thing people struggle with most is how to handle an employment gap on their resumes and cover letters. There are many strategies that can be utilized when writing a resume and the one that works best for job seekers that have significant gaps in their careers is the functional format. This type of resume begins with a summary paragraph followed by a skills or expertise section (also known as a core competencies section). However, rather than jumping right into a professional experience section and highlighting each previous position in reverse chronological order, the functional format includes a career highlights section that touts a few of the job seeker’s key accomplishments from throughout their career before going on to list their previous positions and employers. The beauty of this strategy is that it provides the reader (hiring manager) all the reasons why this person would be a great fit and a valuable employee before finally divulging the information that could work against the candidate (namely their lengthy time period without gainful employment). It’s best to not provide too many details regarding unemployment on the resume itself. If it must be addressed, the best way to do that is with a short sentence or two. For example, “Took hiatus from professional career to care for elderly parent.” The focus of the resume must always be on why the candidate is the best fit for that particular position, not why they haven’t had a job in 2 years. It’s much better to explain a period of unemployment within the cover letter. Once again, however, this should be kept to a minimum and the focus should remain on the job seeker’s positive attributes, prior achievements, and areas of expertise. 4) Sell Yourself in the Interview: It’s understandable to feel uneasy going into the first interview after being unemployed for a long time. Just like with many things in life, practice truly does make perfect so reach out to a colleague or acquaintance to conduct mock interviews and get ready for the big day. As mentioned above, the question most job seekers dread most is “What have you been doing?” By using time off wisely, this becomes a conversation starter rather than an interview killer. Answer honestly about the reason for being out of work and remember to project an air of positivity. Don’t badmouth previous employers (even if there was a layoff or acrimonious split), emphasize skills and capabilities that relate to the open position, and most important, show the interviewer that there is genuine interest in the position itself, not just a paycheck. Losing a job may seem like the end of the world, and as the months pass that feeling can seem to grow, but there’s no need to view extended joblessness as a self-fulfilling prophecy or a stigma that can’t be overcome. Using unemployment as an opportunity to gain new skills or strengthen existing talents and employing the proper strategy when it comes time to write a resume or cover letter will make it easier to re-enter the labor force regardless of the reason for being out of work.